For those of you who don’t know me personally, you may not know that I tend to stick to 3 shades of eyeshadow … brown, brown and brown. Albeit slightly different tones from each other, now and again I throw some eyeliner in there too. Browns are a great neutral colour for most skin tones and eye colours, without being harsh. You can build on them too from day time to a smoky evening look. Which is why I love this palette so much, beside the fact it was an absolute bargain in Boots UK at £7.99. The ‘Au Naturel’ palette is a gorgeous collection of matte and shimmery eye shadows providing a subtle yet contoured effect for day, that can be built up for a gorgeous evening smoky effect using the velvety browns and shimmering fawns. I wouldn’t quite call it a ‘dupe’ of a Naked palette, it has much less metallic shades, but that suits me perfectly. 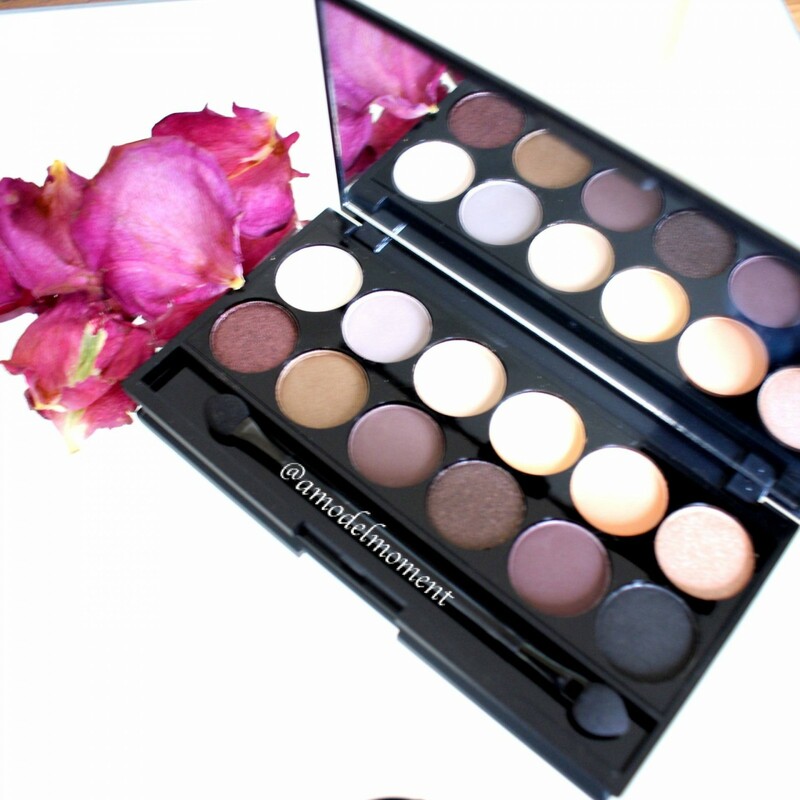 It isn’t so easy to find a palette with so many mattes in it these days, so that gets a huge thumbs up from me! The muted matte tones are perfect for day time and different enough from each other to create different looks. The pigmentation varies in the palette. The pigment in the metallic shades is strong, less-so in the first 5 shades that go on very lightly, however these are the ones you would be blending as a base anyway. I would call them buildable but I prefer it that way, the palette is called ‘Au Naturel’ after all! I didn’t experience any fall-down when applying the shadows and they didn’t crease throughout the day. It comes with a double ended sponge applicator, which was ooook, I preferred applying with my own brush to be honest. It did the job though. My favourite shade is ‘Nubuck’, it’s a little different from the warm tones I normally use, but it’s a really nice grey/brown tone for blending out colours. ‘Mineral Earth’ is perfect for a sultry smoky eye look, used with ‘Noir’ to line the lashes with a smudged finish. It really is a great, natural daily palette that gives you lots of options without breaking the bank. The only issue is the palette can be a little bit sticky to open sometimes, but the big mirror inside is fab for a high street product, and for £7.99 who’s complaining?